Developed in collaboration with greatest competitors on the water, the Sperry 7 Seas is built to sail every sea and trek across every continent. 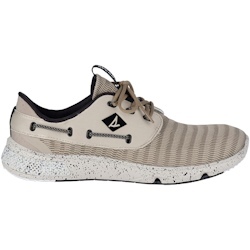 Beastly Traction, is a combination of rugged, all-terrain pods and Sperry Wave Siping enhances grip on land and sea. 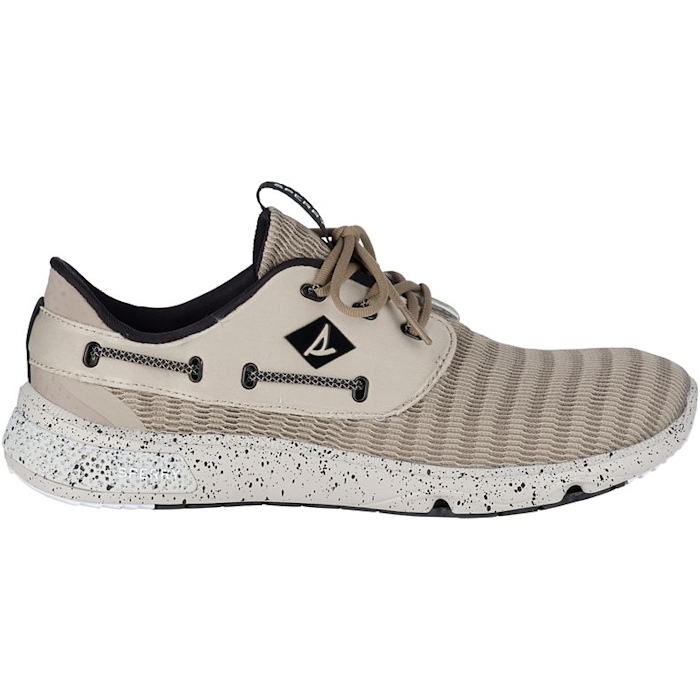 A Fierce Fit design cradles and cushions the foot, while Sperry OmniVent construction keeps feet dry in all conditions with a water-repelling Nubuck upper and a breathable midsole.